"I am warning, especially people of the Muslim community, that the Congress isn't in a position to fight the BJP in UP..." Mayawati said at the rally. 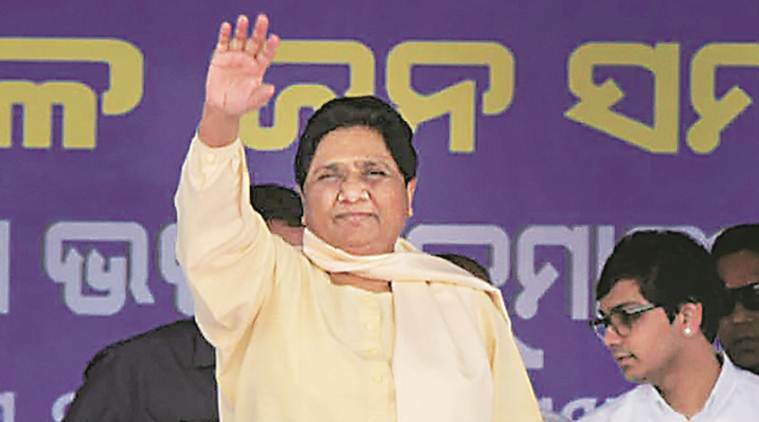 Uttar Pradesh Chief Electoral Officer (CEO) has sought a factual report from the Saharanpur administration on Mayawati’s speech during an SP-BSP-RJD rally in Deoband on Sunday. She urged Muslims to not vote for the Congress and back the UP alliance of the three parties instead. “I am warning, especially people of the Muslim community, that the Congress isn’t in a position to fight the BJP in UP…” she said at the rally. Speaking to The Indian Express, Dinesh Kumar Garg, Assistant Director of Information, confirmed that the CEO had taken cognisance of the speech. “The CEO has sought a report from the Saharanpur district administration on Mayawati’s speech,” Garg said. “Seeking votes on the basis of religion or caste is a violation of the Model Code of Conduct, and the matter will be probed by the Election Commission (EC),” an election official said. The EC recently “advised” Uttar Pradesh Chief Minister Yogi Adityanath to be “more careful” in future references to the armed forces in his poll campaign speeches. The poll panel had taken cognisance of Adityanath’s reference to the Indian Army as ‘Modiji ki sena’ during a rally in Ghaziabad on March 31. Adityanath, in his reply submitted to the Commission, defended his remark, saying that by “Modiji ki sena” he meant the country’s Army.